TargetNet is a open web server that could be used for netting or predicting the binding of multiple targets for any given molecule. In drug discovery process, one of the challenges is to identify the potential targets for drug-like compounds. Once the target is successfully identified, several receptor-based drug design methods could be easily used to optimize the structure of compounds, aims at improving the biological activity of these compounds. However, this is usually a very difficult task for most of medicinal chemists. Herein, we attempted to address the difficulty by developing a open web server called TargetNet. TargetNet simultaneously constructs a large number of QSAR models based on current chemogenomics data to make future predictions. ChemDes is an free online-tool for the calculation of molecular descriptors,which provides more than 1,144 molecular descriptors that are divided into 18 logical blocks. In addition, it provides seven types of molecular fingerprint systems for drug molecules, including topological fingerprints, electro-topological state (E-state) fingerprints, MACCS keys, FP4 keys, atom pairs fingerprints, topological torsion fingerprints and Morgan/circular fingerprints. In order to unify the input format of molecule and more friendly to use ChemDes.We developed an free on-line tool--ChemCONV.Researchers can use this to convert the format of molecule and prepare the inputformats for the ChemDes,mopac optimization tool and other softwares,such as sybyl,etc. Another useful tool assisting ChemDes is MOPAC optimization tool.It is developed based on PyBel and MOPAC2012 to help studying of molecular structures,especially for the geometry optimization,energy minimization,etc. FPS Similarity is a free online-tool developed for Calculating Molecular Similarity based on molecular fingerprints by using measures such as 'Tanimoto'. BioTriangle is a feature-rich toolkit used for the characterization of various complex biological molecules and interaction samples, such as chemicals, proteins, DNA/RNA, and their interactions. Biotriangle calculates nine types of features including chemical descriptors or molecular fingerprints, structural and physicochemical features of proteins and peptides from amino acid sequence, composition and physicochemical features of DNA/RNA from their primary sequences, chemical-chemical interaction features, chemical-protein interaction features, chemical-DNA/RNA interaction features, protein-protein interaction features, protein-DNA/RNA interaction features, and DNA/RNA-DNA/RNA interaction features. Network analysis has been widely applied in various biomedical researches. To facilitate extensive studies of node relationships in a network, we developed a freely available, open source python package called PyNetSim for calculating various node similarities based solely on the underlying network structure, rather than various node attributes. Involved in many diseases such as cancer, diabetes, neurodegenerative, inflammatory and respiratory disorders, G-protein coupled receptors (GPCRs) are among the most frequent targets of therapeutic drugs. Over half of all prescription drugs currently on the market are actually acting by targeting GPCRs directly or indirectly. A lot of efforts have been invested for studying GPCRs in both academic institutions and pharmaceutical industries. However, it is time-consuming and expensive to determine whether a chemical and a GPCR are to interact with each other in a cellular network purely by means of experimental techniques. Although some computational methods were developed in this regard based on the knowledge of the 3D (dimensional) structure of protein, unfortunately their usage is quite limited because the 3D structures for most GPCRs are still unknown. To overcome the situation, a multi-target QSAR classifier, called GPCRnet, was developed to predict the interactions between GPCRs and chemicals in cellular networking. GPCRnet is an open 2web server that could be used for netting or predicting the binding of multiple GPCR targets for any given molecule. and many more challenging biological problems. Sequence-derived structural and physicochemical descriptors are critically important for these tasks. Here we present ProtrWeb (done), a web server based on our R package protr, dedicated to compute such structural and physicochemical descriptors. Currently, ProtrWeb offers twelve types of the commonly used descriptors presented in the protr package. The protr package offers more proteochemometric modeling descriptors, miscellaneous tools and datasets, and more customized descriptors could be crafted by using the protr package directly. Comparative large datasets of most properties. Better and robust SAR/QSAR models. TargetNet is a open web server that could be used for netting or predicting the binding of multiple targets for any given molecule. ChemDes:An online-tool for the calculation of molecular descriptors. ProtrWeb:Calculate Protein Sequence-Derived Structural and Physicochemical Descriptors. Version 1.1.1(2013-11-27).Fixed bugs.optimized the generating process of the csv file. 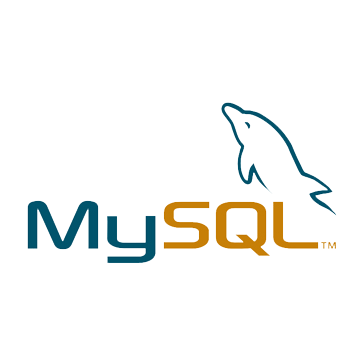 Version 1.4(2014-03-16). Added tool:ChemFPS.It is a free online-tool developed for Calculating Molecular Similarity based on molecular fingerprints by using measures such as 'Tanimoto'. Version 1.5(2014-07-11). Added new descriptors from CDK. Version 1.6(2014-08-18). 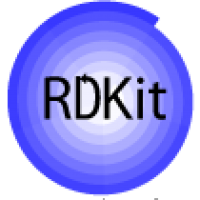 Added new descriptors from RDKit. Version 1.7(2014-10-06). Added new descriptors from Pybel. Version 1.8(2014-11-11). Added new descriptors from BlueDesc. Version 1.9(2014-11-17). Added new descriptors from PaDEL. Version 2.0(2014-11-23). Update the tool ChemFPS. Added the batch computing function. Version 3.0(2014-12-01). Update the module Molecular Fingerprints . Added the following fingerprints('FP2 fingerprints', 'FP3 fingerprints', 'RDKit fingerprints', 'Pattern fingerprints', 'Layered fingerprints', 'Pubchem fingerprints', 'CDK fingerprints', 'CDK extended fingerprints' 'Klekota-Roth fingerprints', 'Klekota-Roth fingerprint count', 'CDK graph only fingerprints', 'Substructure fingerprints', 'Substructure fingerprint count', '2D atom pairs', '2D atom pairs count', 'Hybridization fingerprints'.). A duplicate of this platform is available here. During routine maintenance, you can use the other one instead. Version 3.0(2015-07-19).Fixed bug: when using *.smi file, it may raise an exception. 2013-12-10. Update to protr v0.2. 2014-01-20. Update to protr v0.2-1. 2014-06-20. Update to protr v0.3. Support pasting sequences in the text box as input. A progress bar showing the calculation progress was added. Recommended browsers: IE9, IE10, Google Chrome, Mozilla Firefox and Apple Safari.